How do you go from High School Teacher to Senior Producer of ‘Civilization’, one of the largest video game franchises of all time? Ditch famed author Emerson, take a page from EGM and Game Pro Magazine and start in QA! That’s what Northern Virginia native and Firaxis Senior Producer Andrew Frederiksen did! 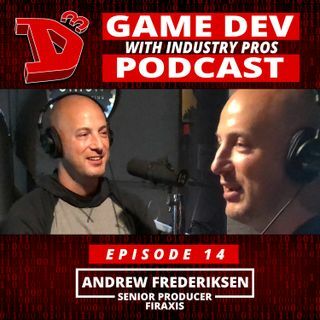 Tune in to this week's D3 Podcast and listen in to Andrew’s amazing adventures in video game development that led him to “San Fran”, back to “NoVa”, and ultimately to Firaxis Games ... See More in Hunt Valley, MD…over cold drinks with the guys of course!